There are a number of factors that should be taken into account when choosing the right pump for your operation. There should be more attention to the optimum pump selection, vendor experiences, pump model references, application details and operational experiences. In addition, practical notes on pump seal systems are described. Three major categories of special pumps are discussed including the different types of vertical pumps, pumps for contaminated liquids and magnetic drive (seal less) pumps. 1- The first critical issue is the optimum pump selection. Usually, the selected pump can handle the assigned job, but usually it is not the best available option. More care should be taken that the best possible pump is selected through the bidding process. For example, the selected pump should usually offer the highest efficiency at the “Best Efficiency Point” (BEP) with the operating range as close as possible to the BEP. 2- The vendor experiences or the pump model reference check require more care than what usually is exercised. The reliability, the high quality manufacturing and the trouble-free long-term operation are not the result of theoretical or textbook concepts. They are more depending on the manufacturing and quality-control capabilities, the operational experiences and successful references rather than the theoretical designs or the engineering or sale capabilities. 3- The application details and the operational experience. A pump shows different behaviour and performance in different systems. In other words, the application details (the details of the pumping service)can affect both the pump performance and the pump reliability. Unfortunately,in many cases, pumps are purchased by pump-purchasers or package-engineers as isolated equipment without sufficient attention to the operational details and the experiences gained from the pump operations in the similar services or operational details. There is a trend toward cost reduction within many pump manufacturers which sometimes could be damaging for all involved parties. This trend within many pump manufacturer teams has been originated from different sources, but mainly from the selection of the pump manufacturer based on the lowest price. This wrong practice has been exercised by some purchasers for many years. As a result of this trend, a proper specification and all required details should be noted for each pump and every single requirement should be raised, discussed and confirmed by the pump manufacturers in a proper format to make sure that all requirements are considered and all associated costs are included in the proposal price. Otherwise, it may result in long(sometime intense) discussions after the pump order. Good pieces of information which should be asked and evaluated in the pump bidding process are the pump shaft diameter,the pump shaft length and the bearing details (including bearing sizes). The pump shaft slenderness ratio (shaft-length/shaft-diameter) is an important parameter to evaluate the pump performance and reliability. A low value of the pump shaft slenderness ratio can reduce pump shaft deflections, stresses and pump vibrations. The larger and better bearings usually last longer. Regarding the small and medium size pumps which use rolling-element bearings, the bearing isolators (usually non-contacting labyrinth seal type) are always preferred to bearing lip seals. 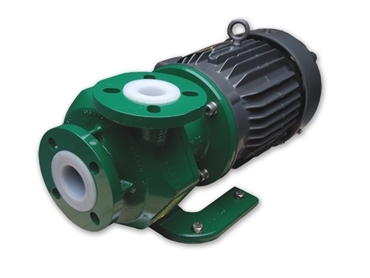 The self-priming pumps are nearly-always preferred for the applications which require the priming features. These pumps are capable of freeing itself of entrained air/gas and resuming normal pumping. Usually, these pumps have a section as an integral part of the pump casing to contain a volume of liquid sufficient for proper priming. If a self-priming pump is not employed, a proper priming method could be required. The priming tank arrangement might be a good option for some applications. The priming tank usually contains 3-4 times the volume of liquid in the suction line. The closed-type impeller is more efficient than the other impeller designs (such as semi-open impeller designs) since it properly contains the flow of liquid. Also this design is mechanically more robust and more reliable. The closed-type impeller is the selected impeller for many services particularly critical applications . The closed-type impellers usually use wear rings to limit the clearance and to reduce the liquid re-circulation. As the wear rings degrade, the clearance will open, the liquid re-circulation will significantly be increased and the pump efficiency will be considerably reduced. This problem can be identified by monitoring the performance of a pump. If the performance is dropped and the pump efficiency is reduced below a certain level, this could be an indication that the pump wear rings should be replaced with new ones. The differential pressure of a centrifugal pump can be at its maximum when the pump operating at the shut-off point. The maximum radial force acting on the impeller could be 12% to 40% of the maximum differential pressure multiplied by the “impeller diameter × impeller width”. This maximum radial force could be a limiting factor for the pump design and also pump operation. In addition, the pump shaft defection should usually be limited to a value often less than 0.04 mm (sometimes less than 0.02 mm) for the worse condition, which is in most cases for the operation at the shut-off point. In horizontal end-suction pumps (overhung style pumps), both bearings are located on one side of the impeller. In other words, the impeller assembly uses a cantilever design. The deflection limits,strength requirements, and rotor dynamics considerations and mechanical requirements for some large applications could be in a way that an overhung pump design cannot be employed above a certain size and pressure combination.For above certain limits, a between-bearing (BB) pump should be used. For small size pumps, the commonly used bearing type is the ball-bearing, usually the single-row, deep-groove ball-bearing. Some modern pump designs tend to use the duplex arrangement of single-row angular-contact bearings instead of the double-row bearings. The back-to-back bearing arrangement is commonly used since it can offer a great angular rigidity and better accepting the tiling moments. Sometimes, for large radial loads, the cylindrical roller-element bearings may be used. 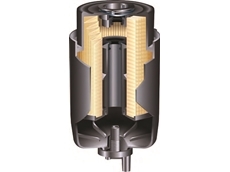 For large pumps, the journal bearings (the sleeve type or the tilting-pad type) are commonly employed. The pump seal is responsible for most unscheduled shut-downs of pumps. The seal maintenance costs through a pump life are also the most expensive cost associated with a pump operation and maintenance.As a rough estimate, approximately 2,000-15,000 AUD (on average) should be spent for a pump mechanical seal replacement. Some pumps may require the pump mechanical replacement every 1-3 years. The cartridge seal design is always preferred to other seal designs such as the component seal because it is simpler, safer and more reliable. The cartridge seals are available for wide ranges of services and applications (for nearly all types of seal). Nowadays, the “packing” is not used even in the small and inexpensive pumps and the mechanical seals should always be employed. The old-fashioned “packing” offered some well-known disadvantages such as an efficiency penalty, constant liquid leakage, regular maintenance requirement, high rate of wear, frequent unscheduled shut downs and many other operational issues. A thin film of liquid should be provided between the rotating face and the stationary face of the pump mechanical seal to offer some lubrication effects and cooling. Usually, a flushing liquid from a suitable source should be used since some pumped liquids if employed without proper processing (for the flushing) can cause problems. For example, high temperature, any containment/solid, chemical traces, the dirtiness and others could result in serious damages to the seal. Sometimes, a flushing liquid from an external source should be used. The flushing is piped from a very reliable source at a pressure higher than the pressure of pumped liquid at the seal location. For many services, an external flushing source may not be available or suitable and the high pressure pumped liquid at the discharge nozzle of the pump could be used for the flushing after some processing such as the cooling(by a small heat exchanger), filtration/separation (by a filter/separator), the pressure adjustment and others. In any mechanical seal, there is a requirement for the closing force to the seal faces during the transient operation (for example, start-up or shut-down), which is provided by the spring or bellows. Traditionally, a series of springs have been used to provide an even loading. A recommended design is the metal bellows which are made from a series of thin metal discs welded together to form a leak tight configuration suitable for aggressive/critical services. The material selection of the seal components is extremely important. A well-known combination could be the carbon rotating face and the ceramic stationary face. Other materials such as the tungsten carbide or the silicon carbide can also be used. Some critical applications such as the volatile, toxic, carcinogenic, hazardous, poor-lubricating and other difficult and risky liquids require a double seal system. The barrier fluid is required with models of the double seal systems, usually in an external closed loop, containing a fluid reservoir and the pressure/temperature control (and adjustment) devices. The barrier fluid should be compatible with the pumped liquid, and it cools and lubricates the outboard seal (the secondary seal) at low pressure. For very special “zero emission” seal systems a “gas barrier seal’ system may be employed, which uses an inert gas (usually“nitrogen”). This is a complicated seal system that should only be used in very special applications. Vertical inline pumps are compact, simple, cost-effective and popular options for some small and medium size applications in different industrial plants. They are commonly employed for revamp and renovation projects where there are limits on the footprint and budgets . In some simple vertical inline pump train designs, which were employed previously, the pump impeller(s) and shaft were solely supported by the electric motor driver at top (no pump bearing). These simple designs have caused some issues and currently are not popular except for small and low-cost applications. Vertical inline pumps usually cannot achieve a good reliability. A major disadvantage of vertical inline pumps is that the NPSH required is often greater compared to most end-suction pump designs. 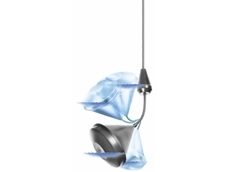 There is obviously an additional route from the suction flange to the impeller which results in more friction, less efficiency and an additional NPSH requirement . The vertical sump pumps are commonly used in many sumps (tanks, vessels, reservoirs or similar), where the sump pump is suspended from the top. The electric motor driver is usually installed at the top of sump on an assembly (or base-plate) which practically covers the sump (that could be beneficial from safety point of view). This vertical pump can use the same impeller and casing as the suction-end pumps. The discharge nozzle on the pump casing is usually horizontal and most often discharges into an elbow that connected to a vertical pipe. Another pump design is the submersible pump which is a closely coupled pump and electric-motor that can be located and operated while immersed in the pumped liquid. The submersible pump design can offer a compact package and good flexibility in the usage and the installation. The submersible pump can be used in a sump (or a well, a vessel, a tank, a reservoir or similar) for the temporary, portable, mobile or moving applications. Also there could be a possibility to change the location and the elevation of a submersible pump. For example, a set of slide rails with special pump connections (or flanges) can be used in a way that allows a submersible pump to change the elevation or drawn-up (and re-installed) . The vertical sump pumps are usually specified for the ordinary, low-depth sumps (or vessel/tank applications) over the submersible pumps which are employed for special cases. The first reason could be the limited options for the monitoring and the inspection (the vibration, the noise, the electric motor overheating and other) of the submergible pumps. The monitoring,operation and maintenance of the vertical sump pumps can more easily be implemented compared to the submersible pumps because there is more access over a vertical sump pump, particularly the electric motor driver, the transmission and some other systems. The second reason is the electric motor and many systems and accessories of submersible pumps are relatively special and consequently more expensive. The compact and complicated designs of the submersible pumps require special considerations for the motor and pump close interactions, the protection of package and complex systems for a complete piece of machine submerged in a liquid. To better explain this case, for comparable designs and materials, the submersible pumps should be moree xpensive for the purchase as well as the operation and maintenance (higher CAPEX and higher OPEX). The submersible pumps are special pumps which should only be employed in right applications . Vertical turbine type pumps are well-known pumps, which usually incorporate a circular type casing with a symmetric passage type diffuser. In these vertical pump designs, the impellers are installed vertically and (usually) concentrically within the casing (and the diffuser).This symmetric type (concentric type) pump design could also be used in some turbine type horizontal pumps . The vertical can pumps are popular pumps for special services such as low NPSH applications or temperature sensitive liquids. In these pumps, the column and bowel assembly are incorporated with an ASME Section VIII designed pressure containing section. This pump design can reduce the NPSH required by lowering the first stage impeller into a lower suction can, usually with the lowest possible elevation . Sometimes, the mixed-flow impellers or the axial impellers can be used in the vertical pumps. The performance curves of these pumps could be different with conventional pumps; particularly the curve would be relatively steep and the shut-off head could be much more than the head at the“Best Efficiency Point” (BEP). The shut-off head could be 2-times or 2.5-times the BEP head (for axial impellers even 3-times or more). These pumps usually require a bypass to avoid the driver overloading when operating points move toward the shut-off points (higher head and lower flow). For the services that contain solids or contaminations suchas the slurry pumping or the liquids with solid particles, special requirementsshould be considered for pumps. The size and nature of solids play an importantrole. The wear would a serious problem and usually a low speed pump (oftenbelow 1500 rpm) should be employed . For the industrial plant waste water services which may contain small amount of solids, submersible pumps can be used. For some other applications, a pump should handle large volumes of liquid with a significant amount of solid content which can result in a high level of erosion and abrasive wear. Tough materials (such as Ni-Hard or heat-treated high chrome iron) should be used for these services. The hardness of the pump metal surfaces should be more than the hardness of the solid particles in the pumped liquid. The wear usually increases when the particle sizes increase. Sharp angular particles often can cause more damages (even 2 or 3 times more damages)compared to rounded particles. Sometimes, rubber-lined pump components should be employed. The chemical compatibility with the liquid pumped and high resistance to wear both should be considered for the pump material selection of contaminated liquids . The magnetic drive pumps are designed without the use of any shaft sealing system in a way that the impellers(s) are driven by a magnetic field passing through the pump shell from the driver shaft. In other words, magnetic drive pumps are seal less pumps that use a coaxial magnetic coupling to transmit torque to an impeller. These pumps are employed for toxic,very dangerous liquids or generally any service which is too difficult or too risky to have a shaft sealing system, usually for small sizes and low power ratings. They are ideal for transferring abrasive chemicals and corrosive liquids, for example, acids, adhesives, liquid metal or similar. If a metal pump shell is used, some heat will be generated because of the eddy current effects inside the pumps and a proper cooling method would be necessary. The generated heat can cause problems both for the pumped liquid and the magnets, considering the fact that the magnets will demagnetize at high temperatures . In magnetic drive pumps, bearings are usually lubricated by the pumped liquid then specially designed bearings are required. The sleeve type bearings are often used with special materials, for example, the “Silicon Carbide”. When the pump is operated in low flows, in addition of the hydrodynamic issues and mechanical problems, there will be bearing lubrication and overheat difficulties. Too often, when pump is operated at low flows, the bearings could experience thermal shock and cracking in a short time . The magnetic drive pumps (particularly the magneticcoupling systems) may experience operational issues in transient operationmodes or abnormal operating situations particularly those demanding hightorques. In other words, all operation possibilities such as high capacity requirement,possible changes in the pumped liquid conditions, and others should beconsidered in the pump selection. Proper safety margins are always encouraged . The magnetic drive pumps are more expensive for purchase as well as operation. Particularly they are much more expensive for maintenance and repair. They are special pumps which are very sensitive and vulnerable to any misapplication or process deviations with some well-known disadvantages and limitations. The magnetic drive pumps should only be used in special applications that a seal less pump is absolutely necessary, preferably in low power ratings.